Alright, Nøgne Ø, how the hell did you get into the beer section (bottom third of the left half) of my brain? 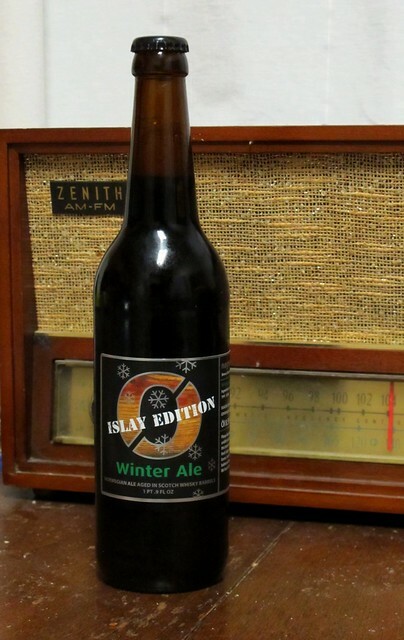 Along with your always excellent logo and label design, and your penchant for making fantastic beers (Sunturnbrew, for example), now you’ve gone and aged some of your Winter Ale in Islay whisky barrels? 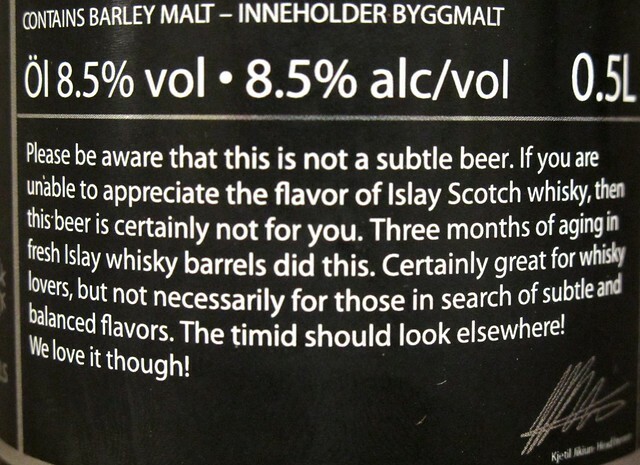 A Norwegian Winter beer aged in smoky Scotch barrels…yeah, that’s pretty much what I’m drinking in my recurring dreams about riding a hybrid bicycle/recliner along a soaring mountain road, high above a crystalline lake where rainbow colored ibex graze on pork shoulder sandwiches and look up nonchalantly as I cruise by. 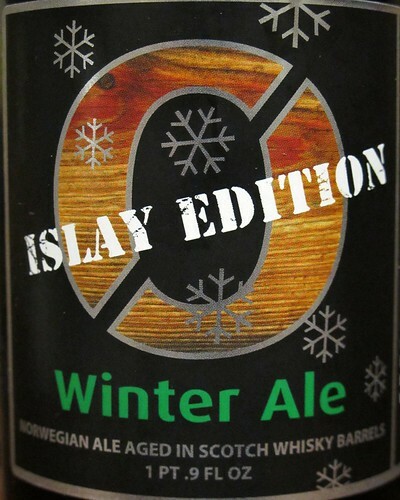 In any case, Nøgne Ø Winter Ale -Islay Edition, a pretty cool stocking-stuffer for the whisky fiend on your list. Great…thanks for making me want to buy another $20 beer.